Don't risk having a sudden and fast meeting with the pavement! Let the experts at Northwest Tree Pros take care of those tall problems for you. ​Having tree issues that are just too high to handle will require a bucket truck service to maintain your trees. We have a bucket truck tree service here in the Portland Metro Area to make sure you don’t have to get involved in this tricky situation. Our tree experts are more than rehearsed in this scene and more than capable of handling any tree situation that may arise. 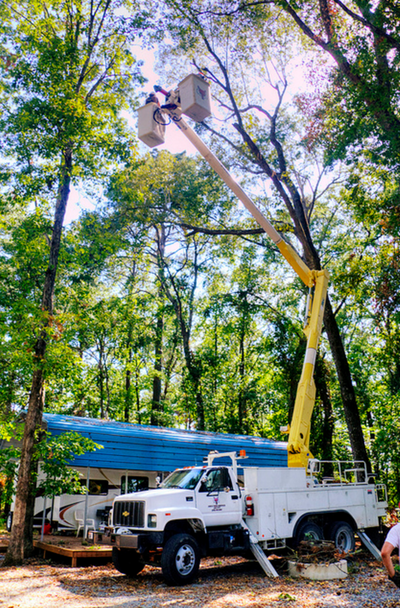 A bucket truck is used by our team when a tree trimming or pruning is needed near power lines, in between large buildings, or any other environment that makes it difficult at such heights for a tree to grow. Where we have tree climbers capable of handling these jobs normally, we find that it is safer and more efficient to bring the bucket truck in and conduct our service from the bird’s eye view. We know that we can handle any tree situation in the sky as we have been doing this for years on years right here in our hometown of Portland. We are Portland Oregon’s Tree Trimming and Pruning Experts and we can prove it to you with our bucket truck service. Our goal is to prevent any destruction to our beautiful friends, and oxygen providers, the trees. 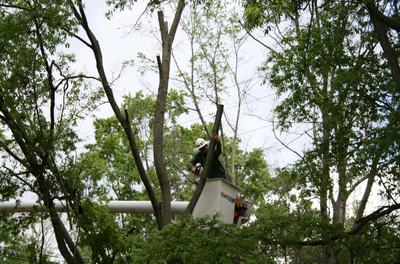 If we can provide a solution to your tree care issue while also saving the tree, then we will accomplish it. Sometimes a simple trimming or pruning may solve the trick where other times, more advanced answers are needed like cabling and bracing. This is where cables and brace rods are put in as structural supports for the trees and reduces the risk of the weaker branches failing and assist in the direction of the trees growth. These implementations are normally conducted higher up in the trees also resulting in the need of a bucket truck. We strongly urge you again, not to handle any high tree trimmings or prunings on your own. This is one of those things where you 100% want to bring in a professional tree trimming company as we are properly equipped for such actions. We are capable of producing quality work at an affordable price so that you can still keep your money in your pocket and your sanity about your life. Our sole purpose for establishing this company was to provide quality tree care and an amazing value to our neighbors here in PDX while promoting the education and knowledge that we have to save our trees. We want the owners of landscape trees and shrubs to know how to promote healthy plants and trees, how to make an accurate diagnosis of what is really causing the problems, to understand there is a wide range of landscaping treatments, and to ensure that people understand how to maintain the quality of life for our trees. 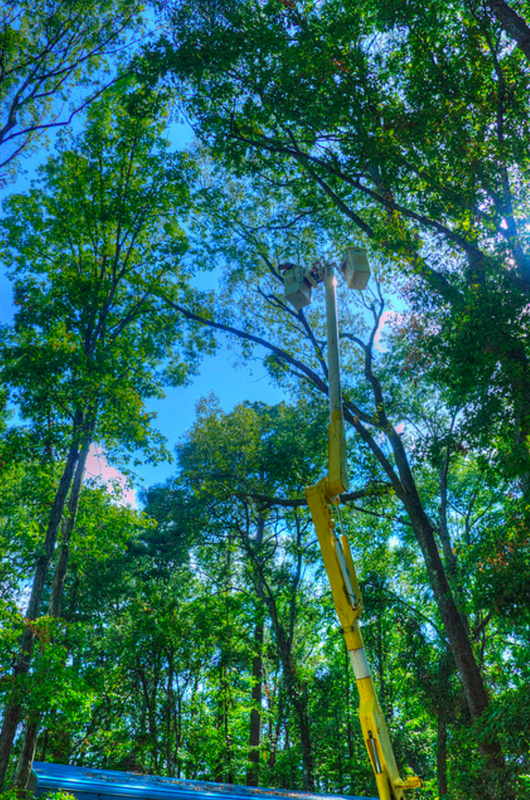 If you have any large trees causing issues on your property or if they are extremely close to your home or business, have us come out and assess the situation for you and we can inform you of your safety, the potential for harm, and (using our bucket trucks) give the full view of what is really happening. We are here to ensure your trees are doing what you want them do to; providing shade, oxygen, and a beautiful landscape.